This is the object for all you lovers of design metal deco. A white metal deco world map ! The dimensions of this wall decoration World Map are 100 x 60 cm. The delivery is free in metropolitan France and Belgium for this metal world map. Make a difference in your interior decoration with this all-white metal world map ! 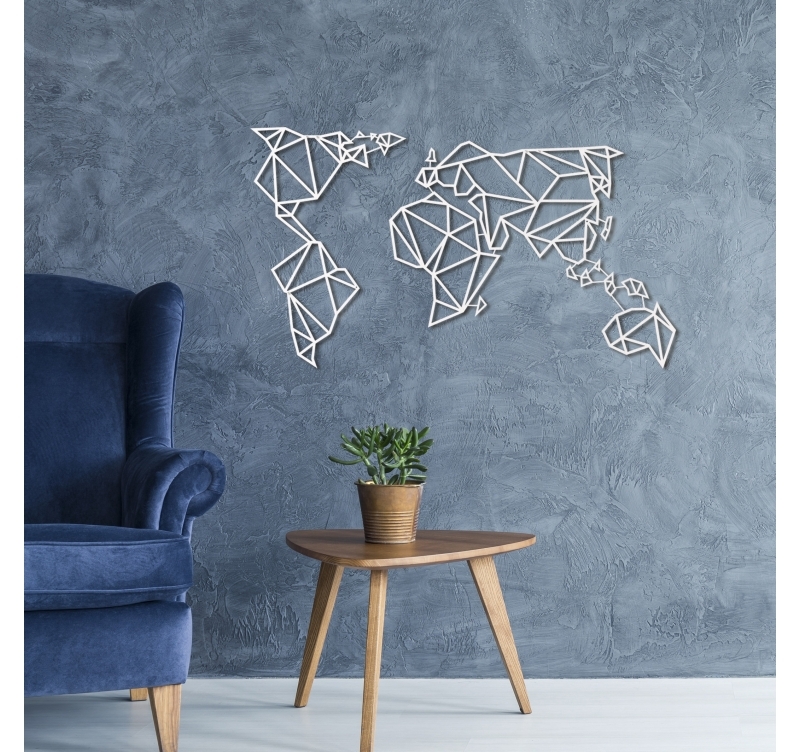 If you wish to create a unique wall that will catch your guests’ eye this metal deco world map will be the centrepiece of your home ! 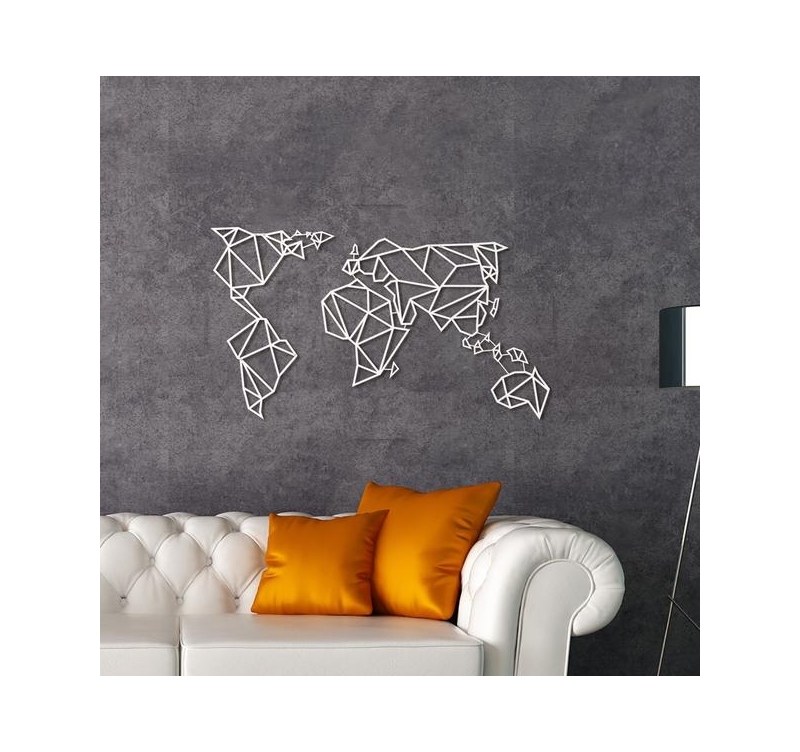 A real invitation to travel, our white metal world map wall decoration will take you on a trip without leaving your lounge. Its white colour will help you create original decorations while playing with the colour of your walls. 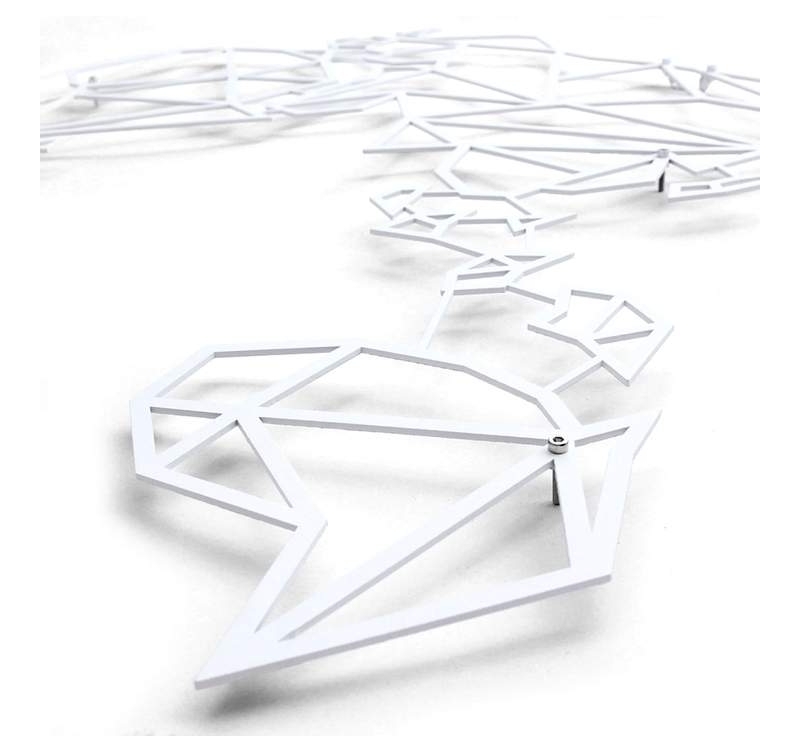 The design metal decoration has a hanging system at the back of the world map for you to hang it up easily on your wall. 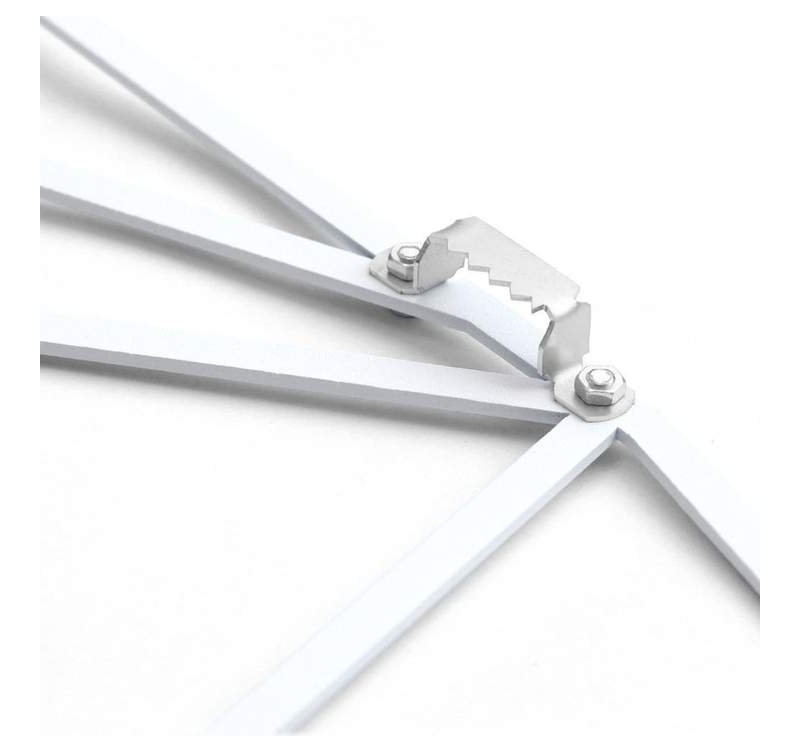 This modern metal sculpture is hand made and treated with a white finish for a long lasting quality. L'emballage du produit permet une protection. Simple à poser, rendu conforme aux photos présentées sur le site. Quelques préconisations sur l'alignement des éléments seraient appréciés.